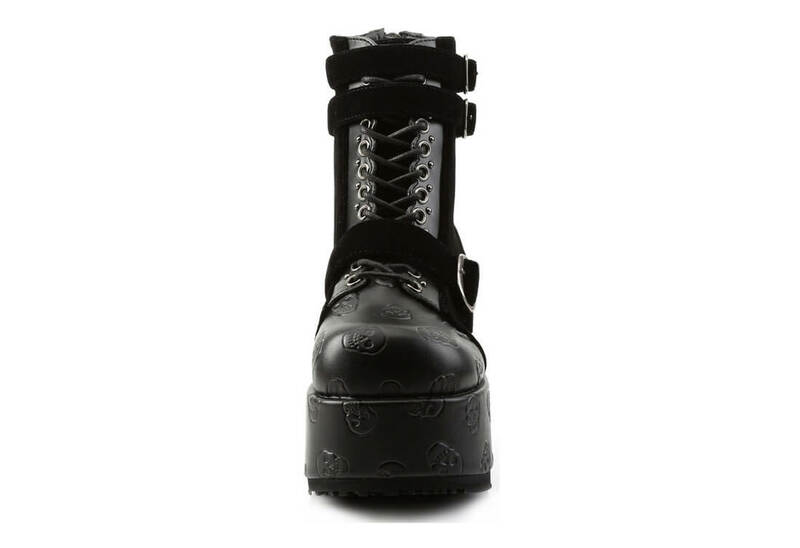 These super cute platform boots have a 4 1/4 inch platform. These boots are made from vegan leather and velvet. The Concord-55's have a lace up front with three buckle straps and a back zipper. 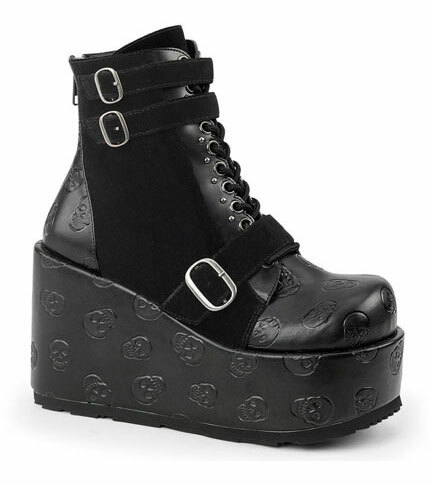 Molded into the leather and platform are embossed skulls.